Nice design! Smooth and clean. Well done. They're uninsulated, so you'd be wise to wrap them in Kapton, but I've used "knarps" from the BMX store before. They're the adjustable ball end from a bike brake cable. I believe that it's built into the new hotend board, but it's not been implemented in the firmware yet. 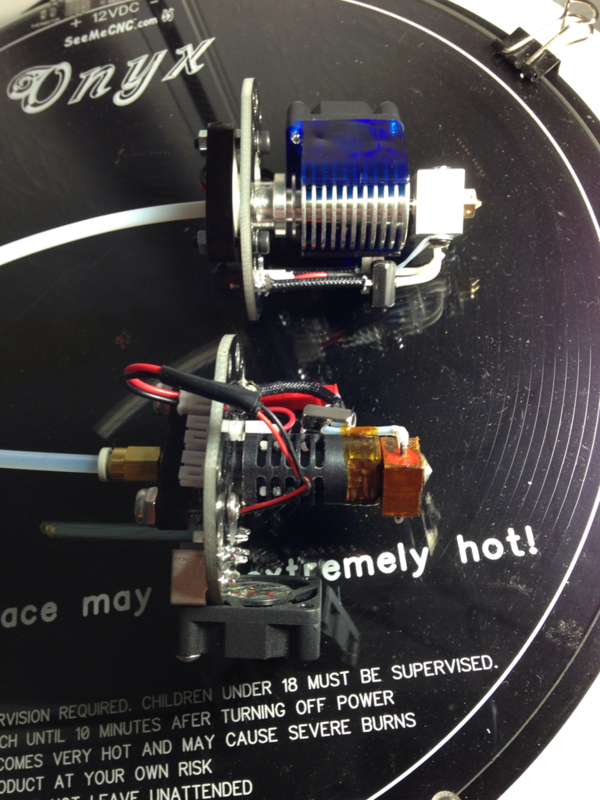 Topic: Hot end always ON! Re: Hot end always ON! I wondered if the heater would pull ground through the metal can regardless of whether the fuse was open or not... That's what I was getting at. ROvermeyer wrote: I use one of these on my E3d and 713 and it works with auto calabration. I made one for 50x15 blowers, too. Topic: Layer shift same layer two attempts in a row. Topic: Anyone installed TL Smoothers on their max v2 rambo? Topic: How to calibrate extruder? Different settings for every filament? Re: How to calibrate extruder? Different settings for every filament? Your extruder steps per mm calibration should adjust to a specific linear length of filament, and that should remain relatively constant. What you'll need to adjust in your slicer for every filament is the filament diameter itself. barry99705 wrote: Is that a hiwin linear rail?? Not sure of the manufacturer, but it's definitely a rail, yep. Printing with PLA? Turn off retraction and see what happens. Don't force anything. Insert improvised removal tool in the rectangular slots, and if the wire doesn't release, try pushing the wire in and then releasing it. Yep. A pin, small screwdriver, paperclip, etc. Topic: Which Thermocouple to buy ? Re: Which Thermocouple to buy ?